Bored of buying the same old stocking fillers? 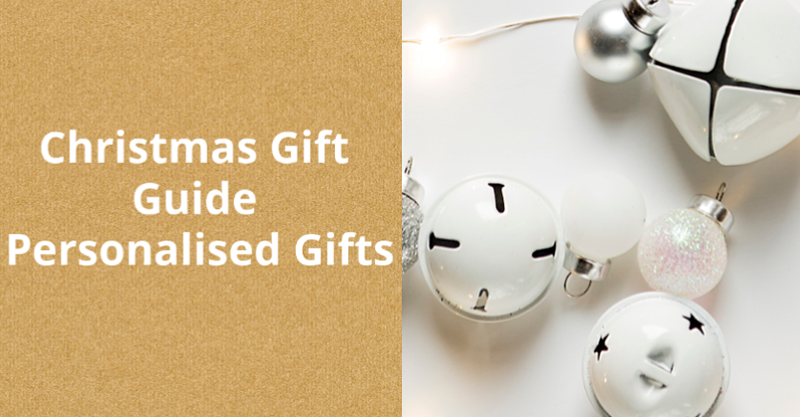 Struggling to come up with yet more interesting ideas for Christmas presents? Personalised gifts are a great way to combat this, and what could be more special than a gift that's totally personal? From names to dates, there's nothing someone won't want if their name is on it. The Kiddimoto Fleur Kurve balance bike promotes exercise, learning and fun while helping children to learn the balance and coordination skills that will prepare them for a lifetime of riding pedal bikes. Suitable for age three upwards, the gorgeous curved wooden balance bike with the Fleur design ensures long-lasting fun for your toddler and can be personalised with your child's name to really make it stand out. Even the coordinating helmets can be personalised too. A Posterhaste Star Map is a unique gift to commemorate a wedding, birth, anniversary, or other special occasions with a print of the constellations in the night sky. Just select a place, date, and time to create a design showing the night sky (or day!) as it was, or will be, at that location, at your chosen moment. It can then be personalised further with details, names and any other information you want to put on it, to remember that special time to the recipient. Not only does this stationery set come with a personalised pencil case, but even the pencils are personalised too. With this fabulous stationery set you get a pack of 12 colouring pencils, 8 HB pencils, a 6-inch ruler and a pencil sharpener – making it a great starter pack for kids, and a sure fire way to make sure they do lose any pencils now they're emblazoned with their name. Handmade in London, this gorgeous Nibbling teething rattle is made entirely of medical grade food safe silicone and FSC beech wood. Each can be personalised with up to 10 characters and there are 4 different colours to choose from. A great way to keep track of your babies favourite teething toy. This super soft owl soft toy is the perfect addition to any child’s room and is set to be their playmate of choice for years to come. What's more, it can be personalised on its tummy, with up to 14 characters, and is intricately embroidered in either pale blue or pale pink thread. This soft toy also comes with a zip at the bottom so it can be gently hand washed to keep it looking fresh. For the money saving children, this personalised money box is a great gift. Simply choose any name up to 12 characters in length and it will be added to this money box in a special animal alphabet that's perfect for children. A great way to encourage children to save their pocket money for a rainy day, and something that will be cherished through the years. This super cute Little Guide to Life book is perfect for those overs of Peter Rabbit. Each page is personalised with your child's name to enchant whilst your storytime will be filled with the wisdom of multiple Beatrix Potter characters within the book. And to accompany the book, is an adorable Peter Rabbit stuffed toy, so that your child can snuggle with him whilst reading stories of his adventures. There’s even space inside the book to leave a loving message for the perfect finishing touch. Why not tell the person you’re buying for that there are no better characters to learn from about life than those of the mischievous Peter Rabbit and his friends. Do you have a child obsessed with unicorns? Then now is your chance to get them their very own special, personalised book, just for them, that every young unicorn fan will treasure. Especially when they see that it's narrated by them! Please May I Have A Unicorn? is personalised throughout, including on the front and back cover, as well as being able to choose the characters hair and eye colours to match your child. The classic tale of Sleeping Beauty is the perfect story for any little princess in the making. This book is fully illustrated with colourful drawings and will feature your child's name as the princess as well as giving you the option to add a message of up to 75 characters (including spaces) to the inside page, so you can really personalise this book for that one special person.